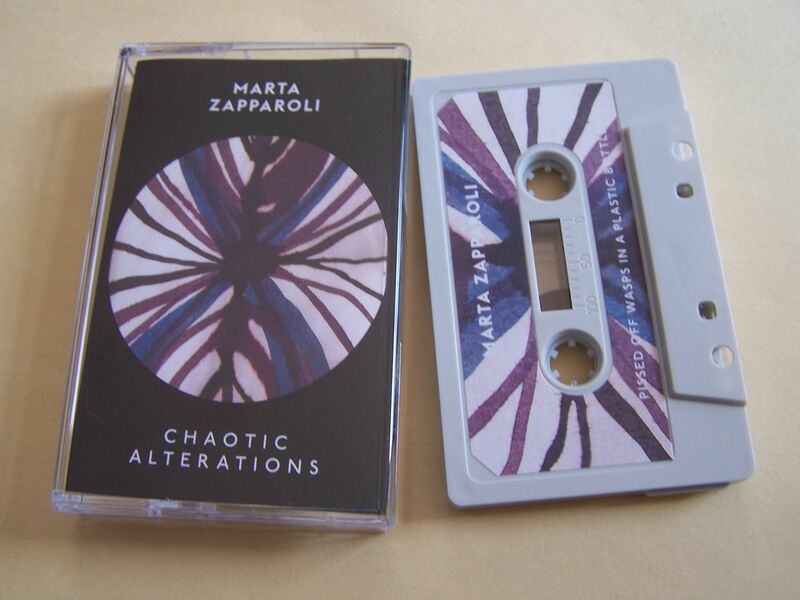 To say that Marta Zapparoli's "CHAOTIC ALTERATIONS" is aptly name would be like saying it falls in the genre of noise: while the statement does hold a certain amount of truth, this cassette is nowhere nearly one dimensional enough to be reduced to something so finite. 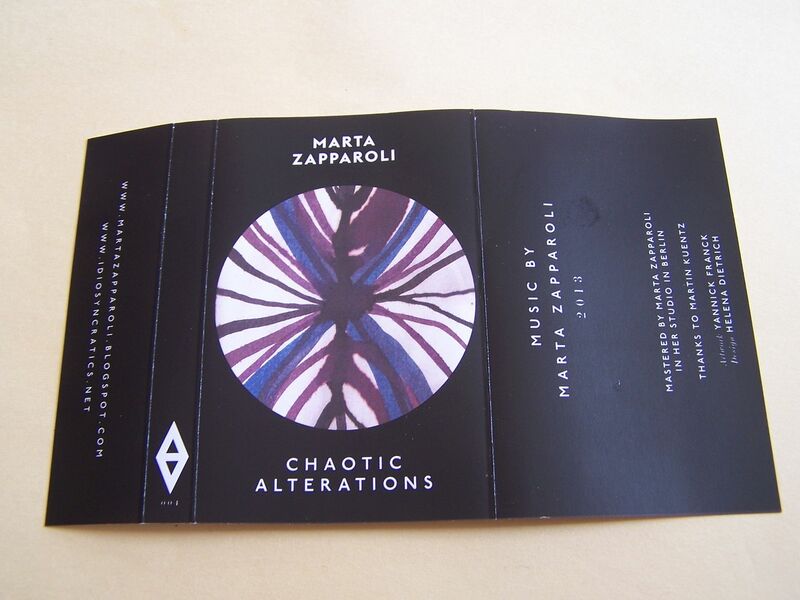 What begins with the sounds of sonar, such as from a submarine, carries on into a fly buzzing and guitar string scrapes. There are distant background conversations that can be faintly made out and then the tape begins to squeal, such as a plague of locusts. Through a wind tunnel, into water splashing, we are driven into an audio clip and then mechanical noises. I find it hard to resist calling this "destruction drone" but feel as if the very idea of the mechanical destruction sounds which are occuring have the opposite effect of drone in the traditional sense of it all. On the flip side we have a hum/buzzing to start with some crackling. Machines crash and humans scream. There is glass bottle clanking with static and then without the static. A scraping sound comes out next, like something between dragged across concrete, and then simply a gun shot perhaps. 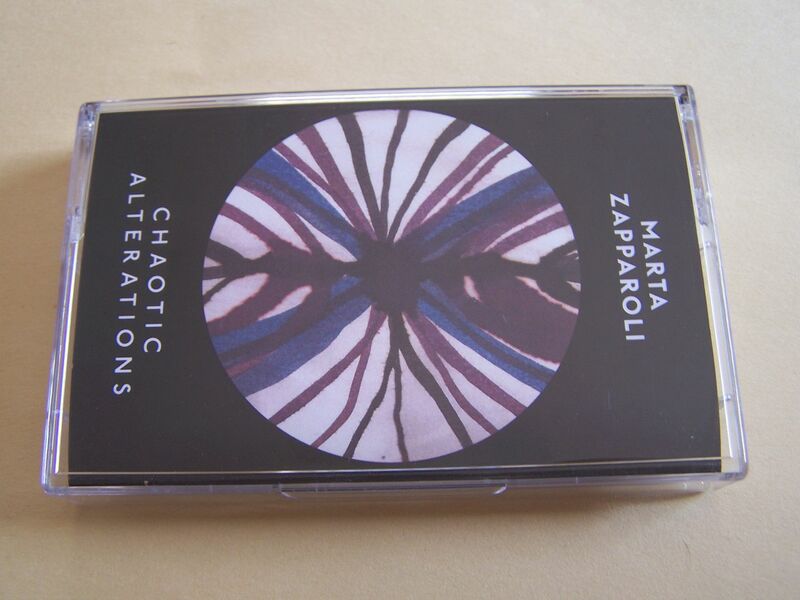 In and out crackling takes us into a hum drone before the end of Side B. While I will leave Side A open to interpretation, I must admit that the sounds coming from Side B have me feeling like I'm watching a horror movie and the victim is fighting some villain before one of them finally wins with the gun shot. The only thing is, with all of the mechanics and the sound of scraping on concrete I'm inclined to believe it is something more like robots fighting than humans or some other forms of monsters. 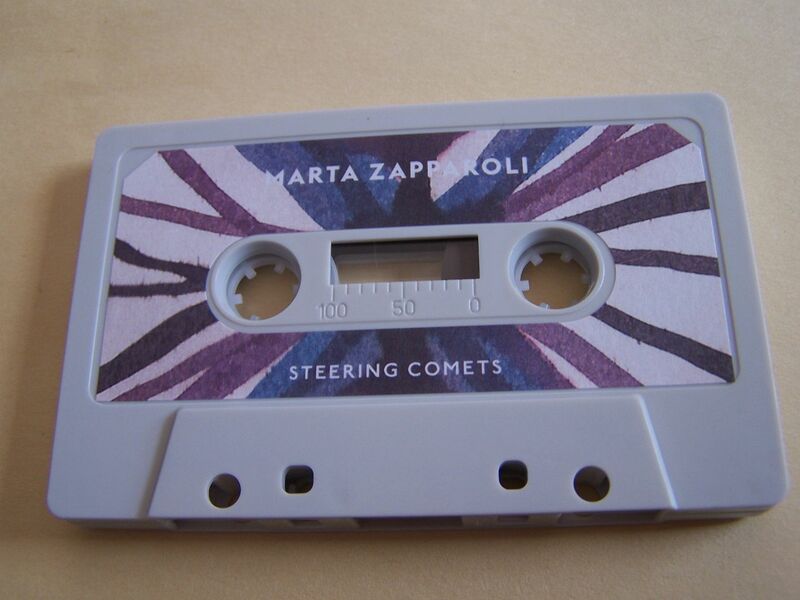 Being that this cassette can paint such a picture just within one side just goes to show you how wonderful it truly is on both sides. Sometimes what we see as humans as such slight movements or small events can actually be chaotic alterations for species much smaller than us. 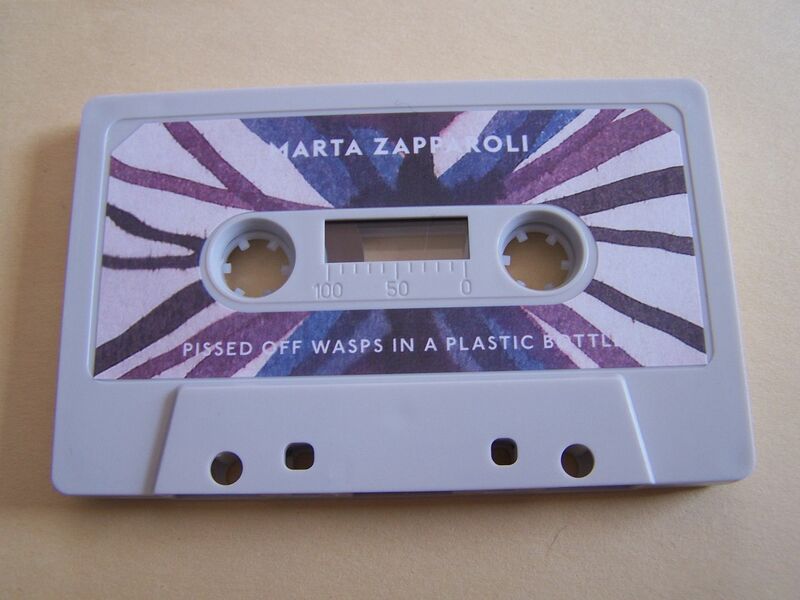 If we are feeling this cassette by Marta Zapparoli at the intense levels that we are, imagine how the ants feel it.